We talk often about ergonomics and how it’s an important consideration when purchasing office furniture. However, in its broad definition, ergonomics refers to the creation of a work environment that is conducive to employees. Conducive or to make comfortable. Yep. That’s what we mean in a nut shell. Making the workplace a comfortable environment for those working within it. Why? Good ergonomics play a role in productivity and the reduction of work-related burnout. Working conditions that are uncomfortable make employees unhappy. These conditions often lead to higher employee turnover and reduced productivity. Making workers comfortable goes beyond a sit/stand desk, for example. Things like appealing décor and music also play a role in productivity and comfort. We’ve pulled together a list of things you and your employees can do to make work life better for everyone. As an employer there are things you can do, but some of our suggestions require employees to take control of their own space to make it better. 1. Declutter the desk. Clutter causes fatigue and promotes lack of concentration. Getting rid of the 100 sticky notes on the computer monitor and putting away paper helps clear the mind and allows for focus. Cleaning up a messy desk is can be as easy as taking a few minutes at the end of each day to put things away. A clean desk makes for a better and more productive morning. 2. Plants help. We’re talking about the living kind that get the right amount of water and sun light. Happy plants promote happy living in the office. They look good and are rumored to help clear the air of toxins. It’s worth a try! 3. Lighting is a big deal. Both too little and too much light are productivity life suckers. Natural light is always best, but if you’re in a space with no outside windows, buy table lamps. Lamps help to focus light and warm up spaces making overhead lighting less intrusive. It might even help concentration throughout the day. 4. Decorate the space. Blank walls, harsh paint, chipped paint, and obnoxious colors do not create appealing spaces to work within. Great River Office Products has an excellent design team on staff that is ready to help find the right décor for a pleasant working environment. 5. Don’t forget the ergonomic furniture. Beyond anything else, having the right desk, chair, and the ability to alternate between sitting and standing, are the keys to keeping your workforce energized and focused. Our ergonomic experts are here to help. Give them a call for a consultation. 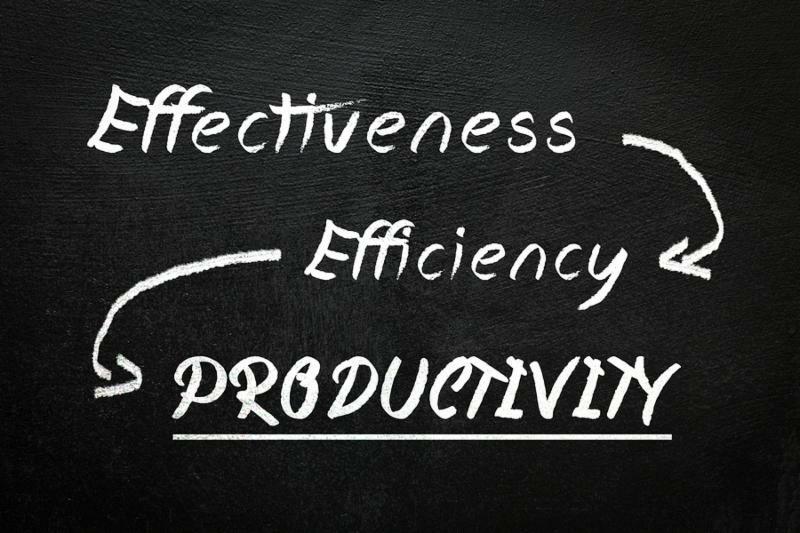 We have great tips on keeping your office productive and efficient. Ready to learn more? Contact us today.